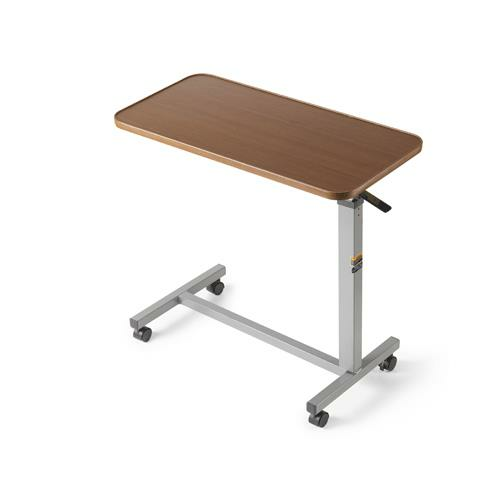 Invacare Auto Touch Overbed Table features spring-loaded, locking handle to easily re-position and secure table top. It has an attractive walnut wood-grained laminate top with a T-molded edge to resist damage. The heavy-guage chrome-plated, tubular, welded steel construction ensures durability. Height Adjustment 28" to 40"